The definition of domestic violence will be expanded to include emotional manipulation, withholding money and harming the family pet under controversial changes to family law. Preventing someone having contact with family and friends. Women’s groups argue the changes tip the balance of family law back towards putting the safety of children first, while men’s rights groups fear they will rob children of time with both parents. Under the changes, the Family Court will be required to ask parents if there was abuse or a threat of abuse in the relationship. The federal government believes this change will encourage more victims to raise the problem as many are too scared to bring it up, worried they would be unable to prove abuse. 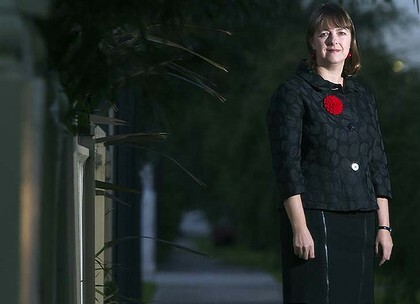 The federal Attorney-General, Nicola Roxon, who has lobbied for the changes, said much family violence remained ”invisible to the legal system” an d she wanted to send a message that it had no place in Australian society. “Unfortunately, more than half of the parenting cases that come to courts involve allegations by one or both parties that the other has been violent,” Ms Roxon said. In NSW, police recorded 26,673 domestic violence assaults last year, up from 26,084 the previous year. Ms Edwards said she was pleased to see the changes addressed the exposure of children to family violence, which increased the risk of ”behavioural and learning difficulties in the short term, and of developing mental health problems later in life”. The changes are a response to a 2006 overhaul of family law by the Howard government, which prioritised shared parenting. Several studies of the changes showed children were insufficiently protected from violence and abuse and, in some cases, were forced to spend time with a parent who had been abusive. The shared parenting provisions have not been rolled back. Instead, the federal government hopes to sidestep this by placing a greater emphasis on children’s safety where abuse is a factor. Barry Williams, president of the Lone Fathers’ Association and a key campaigner for the 2006 changes, is concerned that courts will now be too quick to believe allegations of abuse. The family law expert Patrick Parkinson, from the faculty of law at the University of Sydney, said courts could become distracted by definitions of behaviour and the changes could make legal battles more expensive and drawn out as parents argued about the nature of relationship breakdowns. ”But it is to be hoped that a commitment to child-focused practice, and the protection of everyone from violence and abuse, will prevail,” he said.